The American Cusanus Society, founded in 1983, promotes the study of Nicholas of Cusa and his times. It holds a biennial conference at the Lutheran Theological Seminary in Gettysburg, Pennsylvania, as well as annual sessions at the International Congress on Medieval Studies at Western Michigan University and the Renaissance Society of America. From these events the Society has produced numerous volumes of collaborative scholarship. 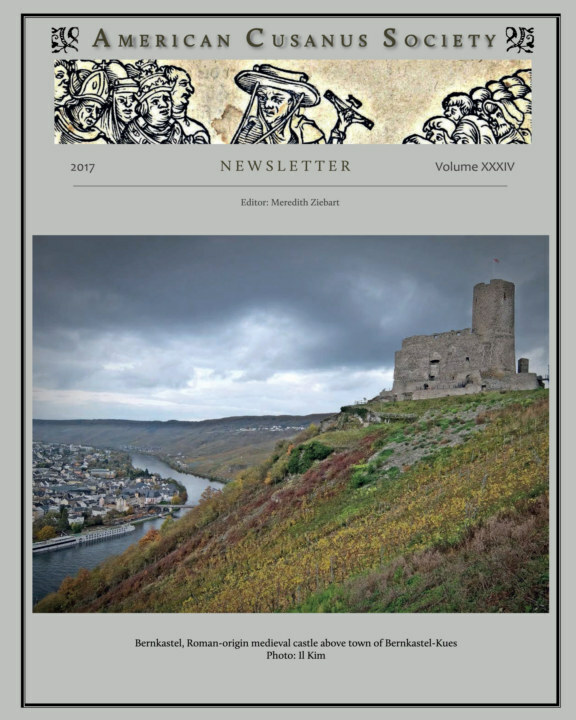 We also publish the biannual American Cusanus Society Newsletter containing articles, notices and bibliographies of recent works, which has become an important resource in Cusanus studies. We partner with affiliated societies in Germany, Japan and Argentina and welcome members from around the world.